If you're like most of us you probably have several different electronic devices that you like to connect to your television. It can be your Blu-ray player, DVD player, X-Box, Computer, you name it we all have at least one (probably more) of them. And if you don't have the right cord you're left without the proper connection to make those devices work through your TV. Over the years the cords that you use to connect these devices have come a long way. From the beginning where we had the cord with the tri-colored plugs to the modern day HDMI Cables. 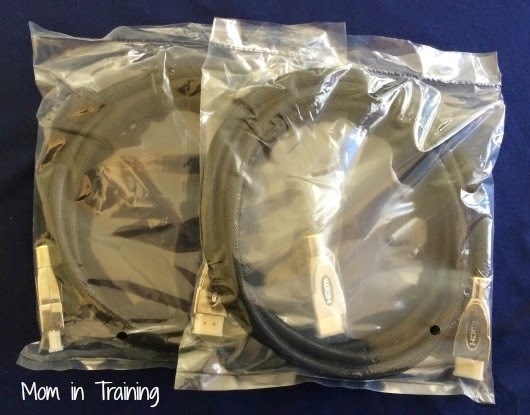 Heck even HDMI cables have come a long way from when they were first introduced. • HDMI® Ethernet Channel - The HDMI 1.4 specification adds a data channel to the HDMI® connection, enabling high-speed, bi-directional communication. Connected devices that include this feature can send and receive data via 100 Mb/sec Ethernet, making them instantly ready for any IP-based application. • Audio Return Channel - The new specification adds an audio channel that will reduce the number of cables required to deliver audio "upstream" from a TV to an A/V receiver for processing and playback. In cases where a TV features an internal content source, such as a built-in tuner or DVD player, the Audio Return Channel allows the TV to send audio data upstream to the A/V receiver via the HDMI cable, eliminating the need for an extra cable. 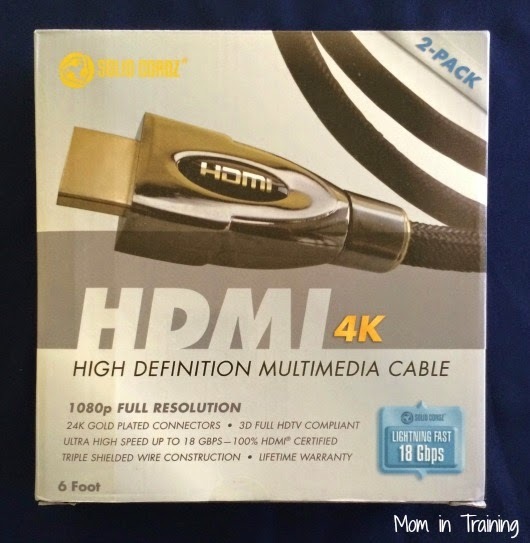 With this set of HDMI cables I was able to even connect my laptop computer to our TV and watch a movie I was streaming on the big screen. It was actually a very simple process - I plugged the cord into my TV port, and then into my laptop port and it immediately showed my laptop screen on my TV. And once I started the video we could see and hear it just as if it was broadcast over cable. There wasn't any lag in the video at any time throughout the movie either.